Walking in “The Accursed Mountains” in Northern Albania combines a front row view of nature with cultural discovery so you can experience the best of both worlds. You can walk through the heart of the Albanian Alps, the National Parks of Valbona and Theth. 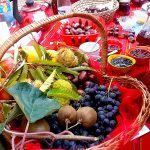 Along the way, you will be immersed in the local traditions of Albanian Highlands. The walks are of moderate difficulty and so is perfect for a wide range of travelers. If you book one of Sondor’s tours through the Alps, you may additionally visit other cities in Albania and Kosovo. In Gjakovo you can walk through the ottoman Bazaar which has around 500 stores, one of the longest in the Balkans. You can optionally also visit the Orthodox Monastery near Deçan about 15 kilometers from Gjakovo. 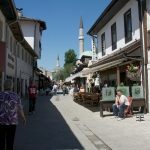 In Prizren you can visit Sinan Pasha’s mosque, the Orthodox Church and the town’s center. Walk one of the most picturesque trails of Theth and Valbona Valley. Soak up breathtaking views of the Albanian Alps from Valbona Pass. Enjoy the North Albanian Traditional Dance.